Are you looking for a cool, edgy and fun incentive destination for 2019? Are your incentive groups bored of the ‘normal’ incentive travel destinations? Then you should consider Glasgow and its vibrant culture, amazing restaurants, welcoming people and truly Scottish experiences. Here’s just some of what incentive travellers could enjoy in Scotland’s largest and arguably best city (we may be a little bias!). Kick of the year with an incentive trip to Glasgow, taking in the events and wonderful atmosphere of the Celtic Connections festival. Attracting musical talent from around the world and the best local Scottish talent, Celtic Connections is the largest winter musical festival of its kind and your group can enjoy being part of it. Not only does the city buzz with excitement, but there are countless gigs and events that groups can enjoy. And if you can’t make the festival, we’ll bring the traditional folk music to your group. Have a folk duo during a low-key dinner or have an all-out party with a ceilidh. If you’ve got an incentive group who are keen on sports there is always something happening in Glasgow. The Emirates Arena – a 2014 Commonweath Games legacy – plays host to some fabulous sporting events throughout the year, plus Glasgow’s love of football means there is always a game to watch. Coming up in 2019, guests could enjoy a trip to the European Indoor Athletics Championship or European Short Course Swimming Championships as part of their incentive trip. If golf and big budgets are more your thing, then how about a helicopter transfer to Gleneagles for the Solhiem Cup to watch the best golfers from Europe and the USA go head-to-head! Glasgow has the finest selection of restaurants in the country offering everything from formal dining to casual street food markets, many of whom use Scotland’s natural larder to create amazing dishes. Have a look at The Finniestion Foodie on Instgram to see just some of the cuisine you could be enjoying on a Glasgow incentive trip. Glasgow has a huge range of murals and street art that adorn the sides of buildings, shops and vacant land. Some are tributes, some are inspired by TV & film, and others are emotive and meaningful. Glasgow is a fantastic place for a pub crawl! We can plan visits to a selection of pubs, bars, breweries and distilleries based on your groups interests (and stamina!). For example, a gin or whisky tour, a real ale tour, or a ‘true taste of Glasgow’ tour. 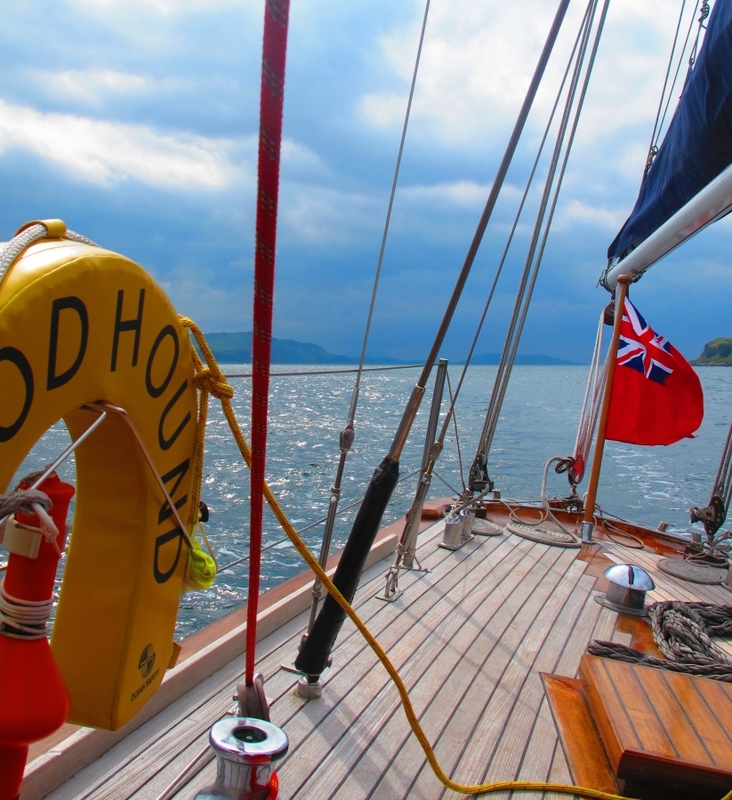 Take a tour of the coastline and islands around the Firth of Clyde on your own chartered yacht, taking in the wildlife and the stunning scenery of the West of Scotland. The cool new Radisson Red has just opening on the Clyde front and we love it. It’s modern, funky, has a roof top bar and a dog. What more could you want from a city centre hotel?! Scotland is home to some of the most magnificent forests in the world. You don’t need to travel far to find shimmering lochs and moody mountains, surrounded by swathes of beautiful green forest to explore. Here are some of our clients favourite activities for their incentive trips to Scotland. At Hello Scotland we LOVE food. Good food that is. And you might be surprised to learn that Scotland has an amazing selection of local produce and talented chefs who create scrumptious plates of delicious goodness! If you have an incentive group who are ‘foodies’, Scotland is one destination that will surprise and delight them from start to finish. If you’re think about a winter corporate incentive trip then we’ve got it covered…quite literally! Scotland has a rich and vibrant ‘royal’ culture that gives incentive groups with a notion of high society the opportunity to get a little bit closer to royal life. St Andrews is great place to base a royal themed incentive from – after all, it’s where Kate and Wills met! Here are a few ideas on how we could create a ‘Royal Incentive’ for your next corporate incentive travel group. Here at Hello Scotland we're incredibly lucky in our industry to experience some of the best hospitality that Scotland has to offer. This December we're swapping 5* hotels with a night sleeping rough in Kelvingrove Park to raise money and awareness for Social Bite, the charity who are leading the fight to end homelessness across Scotland. Tuesday, 5th June, is World Environment Day and to recognise the importance of our role in beating plastic pollution, Hello Scotland has pledged to stop using single-use coffee cups and to reduce our plastic bottle wastage. Fans of Harry Potter will love incentives that have a magical theme, either across the whole trip or for a special part of their incentive experience. And Scotland is probably the best location in the world to do it.